You've heard a lot of daunting stories… Tales of epic battles, corporation treason, exploration of distant unknown places and industrial wealth… Make sure to start your adventure with this day one guide to New Eden. I’ve been playing EvE off-and-on for a while now and I’m far from being a professional when it comes to all aspects of the game, but I do know a lot of small things that new players might find confusing and/or frustrating. EvE is a massive game set in a huge player controlled universe where you will be dealing with people that span from helpful blokes to huge scumbags which will try to scam you in every way imaginable. You also might’ve heard about the “toxic/harsh” community of EvE – but let me assure you, it is far from it. Actually – the overall mentality doesn’t differ much from any other MMO apart that stuff in EvE actually matter and can have very impactful consequences to you, the player you just blew up, or to his/her whole corporation. You see, everything in EvE is player driven: Economy, industry, and even ownership of stations and huge sectors of space. But let’s start small. The guide below is a very brief and simple overview of what I’d suggest new players do upon first login. It doesn’t contain any “tech-talk” or specific fits, but it shortly describes what you should go through to get the feel of what the game has to offer right from the start. OK, so first – you’ll want to create your new account. If you use the link provided here (or the one in the sidebar), you will be getting more game-time for your trial more skillpoints to start off as an Alpha clone since it’s generated by a buddy link instead of the generic "create new account" link. It also gives me the chance to get some extra ingame items. You start the game by creating your character, which is in fact – a clone. You can modify his/her appearance at any time by visiting a station or your captain’s quarters inside one. In EvE you are a conscience that gets transferred to a single active clone. Upon destruction – you will be given a brand new blank clone. Later on, you will be able to have multiple clones in various corners of space that can be used to fast travel by transferring your conscience from one place to another with a 24h cooldown. Depending on your race – you will be flying a racial rookie ship. It’s a free ship you will be given at any station you dock into if you get blown up. Bear in mind once your ship is destroyed you will be out in space in your tiny capsule (pod). NPC pirates will never kill your pod, but players might. The first thing you want to do is get familiar with the interface. It might seem insanely complex at first, but in reality it’s one of the best UIs I’ve seen in any game. You can move anything and customize windows to your liking. Also – remember that you can pretty much right-click anything to get extra info be it ships, space itself, stations, stellar objects, players or ship modules. Right-click is your best friend. Once you’re in space, Aura (your in-game AI help) should pop-up giving you a brief overview of game movement, UI elements and controls. Since this is a space sandbox, you are pretty much left out on your own, but the game provides few tutorials that can be accessed from anywhere in space, whenever you wish. Just hit F12 and select Career Agents or look for "The Agency" window on your NeoCom (left sidebar menu). This brings up a menu that gives you a brief overview of all paths one can take in EvE – Exploration, Industry, Military and Business. I strongly suggest you go through each of those to get a feeling of what each branch is about and get a good idea of how things work in-game. There’s a constant demand for industry items in EvE, and it all starts with a minimum-risk taks – mining. Once you start the mission from the tutorial agent, you will be given a series of tasks and a few ships with the appropriate modules. Players focusing on industry will mine asteroids, salvage ship wrecks, and manufacture complex commodities that can either be used by yourself, your friends in your corporation (basically a “guild”) or sold on the player market for profit. You will be in charge of making everything from small modules, star-ships and even player owned stations. As in real world – Business is what makes the money flow, and it’s not very different in EvE. Even if you dislike crunching rocks, you can still use the huge market into your advantage. Buy low, sell high and make yourself a billionaire among the stars. The Business tutorial line will also give you a few ships and teach you more about the industry. Once you get your feet wet – you can even take special player contracts that will pay out for hauling services. So if you like space-trucking – this might be the path for you. What would space be without exploration? Apart from providing some stunning vistas – exploration in EvE is considered a high-risk / high-profit job. The tutorial will give you a basic exploration frigate with the appropriate modules that enable you to scan and pinpoint specific space anomalies, gas, data and relic sites which you can then warp into to get very expensive items used for crafting high-tier commodities. Like everything in EvE – your skills have a large impact on scanning as well. By training scanning skills and boosting your probe strength and/or resolution – you will be spending less time scanning, and more time hacking those expensive hidden relic sites. This one is pretty much self-explanatory. We’re all here to pew-pew stuff and fly awesome ships anyway! By starting one of the military tutorials, you will go through several pockets of space where you will be dealing with local pirate factions and be taught how to use the overlay to navigate, lock and attack targets as well as how to utilize specific ship modules to tackle your opponent by either significantly slowing them down or disabling their warp-drive completely so they can’t warp away from you. There are no character levels or XP in EvE – there are only skill-books and active training. This means that your character is training even when you’re not ingame, so make sure you always have skills queued in training so you don’t waste time and/or your subscription. There are countless skills to be learned but the best thing for a new character is to specialize in one branch that you see it most fit for. Since older characters obviously have more skill-points, they will pretty much have a big advantage over new players. However – never underestimate the power of a newbie! I’ve seen countless fights won by a bunch of tiny Tier 1 frigates that were just having fun over some nasty cruiser. Early specialization brings you up to par with older characters so make sure to ask someone in your corporation or rookie chat to help you with skill-planning and ship fits. Most of EvE players are more than happy to help and talk about the game in general. Remember – it’s an online game, don’t play it alone! Every system in New Eden is defined by its security level. You can see it in the top left corner and it spans from 1.0 to -1.0. Depending on which security level you’re in – the systems are usually classified as hi-sec, low-sec and null-sec. So while flying in systems with security rating 0.5 and above, you are protected by Concord – which is the police of New Eden. This does not mean you cannot be attacked or attack someone in those systems. This also does not mean you cannot be blown up in hi-sec. Concord is there to punish the criminal – not purely to save you upon attack. Players that engage a fight in hi-sec will get a criminal flag and will be destroyed by Concord. Space with security level 0.4 to 0.1 is called low-sec. Concord will not come to your aid so be very careful while flying in low-sec space as a new character since that is mostly roamed by players looking to PvP and prey on innocent newcomers that end up jumping to less secure systems by accident or by pure curiosity. The attacker will get flagged as a criminal and if there are any sentry guns nearby (at gates and stations only) he/she will get attacked, but that will most likely not end up in ship destruction. Space with security level 0.0 to -1.0 is called null-sec. It’s a lawless place with no police and is, in large portion, player controlled. Player corporations and alliances living in null-sec take their space very seriously and will defend it. Showing up in null-space of an enemy alliance will most certainly cause them to attack you on sight. All new players are put into a NPC corporation depending on their race and background chosen upon character creation. Some of them are quiet most of the time, but some are as vibrant and active as player corporations. I would suggest sticking to NPC corporations for a start since those are always set in hi-sec systems and may provide useful info to new players. However – once you feel confident enough, I strongly suggest finding a player corporation that fits your mindset and playstyle. People that know me and play games with me may have noticed I never PvP. It doesn’t matter if it’s a RPG, MOBA, FPS or any other type of game – I really never PvP. But EvE is something completely different and the whole game changes for the better (by A LOT) once you find a good corporation of likeminded people that will take you on some PvP roams. I’ve heard countless times how harsh and brutal EvE community is, but my personal experience can’t be farther than that. I’ve got blown up countless times and literally every single time that happened, I got whispered by the attacker and explained what I did wrong. They always helped me improve my fits and most of them even payed out my full loss. Never, ever fly something you cannot afford to lose! Getting in a ship is easy. Fitting one is more difficult, and scales with ship size and tier. But losing a valuable ship while having no coverage for yourself may ruin your gameplay style and bring you back for days, maybe even weeks/months when it comes to financial loss. 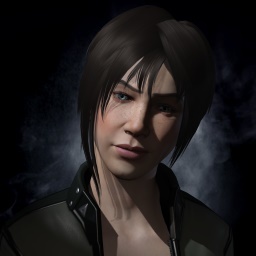 So… fly safe and feel free to leave any replies of your first EvE experience. Alpha-Orbital will be covering more guides and news on the subject in the upcoming months. For people that are new to the game - you DO NOT fly your ship directly as you do in most space sims (Elite, Star Citizen, X...) - you command your ship to do stuff and it does it for you by clicking the UI or clicking in space. Imagine it more like you're a commander giving orders and the game offers a more strategic approach rather than direct pewpew. I know a lot of people that were put down by this fact since they expected it to be more arcade-ish. I was wondering when you'll get into EvE with the whole space-theme going for this site, and it turned out you've been playing it already haha. Hopefully it wont stir you away from Elite. The Thargoids are coming!